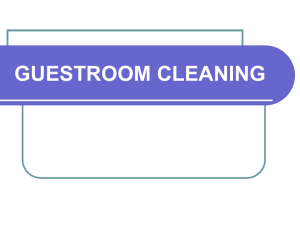 Describe the role of housekeeping operations in lodging. 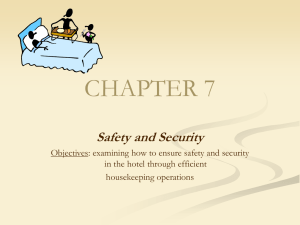 Maintain safety and security standards in housekeeping. 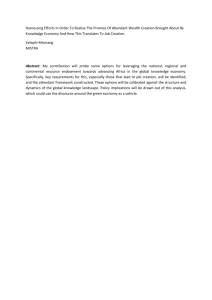 Monitor the use of standards for effective housekeeping operations. Clean guestroom to industry standards. 1. Participants are an affiliated member of the state and national FCCLA organizations. 2. Participants are enrolled in a Lodging Pathway program under the Hospitality and Tourism. 3. An entry will consist of 1 participant. 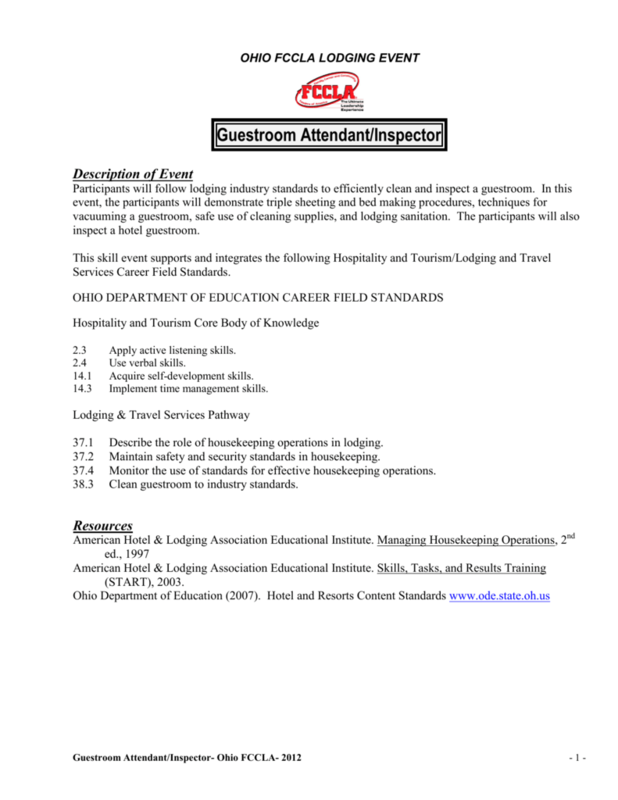 To exhibit appropriate grooming, attire, and hygiene acceptable for a guestroom attendant. To demonstrate stripping bed linen and remaking the guest bed to meet industry standards. To properly inspect a guestroom to ensure customer satisfaction and quality control. To demonstrate safety and sanitation procedures, good body mechanics, and efficient work habits. To demonstrate skills and knowledge in the housekeeping department. 1. On the day of the event, register and find the assigned competition rooms. 2. Report to competition rooms 30 minutes before the scheduled competition time. 1. Secure judges for the event. 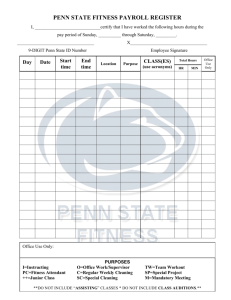 Provide event packet and score sheet to judges prior to the event. 2. Secure a monitor for the inspection room. and breaking ties as needed. 4. On day of competition, orient judges prior to event. 5. 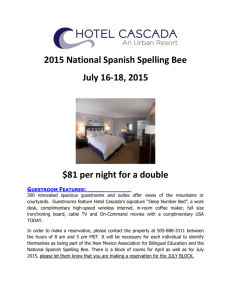 Secure one or two guestrooms for skill demonstration. One room should include 2 full-size beds. 6. Secure one guestroom for inspection. Inspection will take place in the guestroom and bathroom. contestant. In case of a tie, refer to the tie breaking notation on the rubric. 2. Ask the participant 5 questions from the list supplied. 3. Judges will then collaborate and grade the finished product according to the rubric. 1. The monitor will supply a room inspection sheet and clipboard for the contestants. 2. Provide timing update half way through inspection competition. (Ex. “5 minutes remaining”). 3. 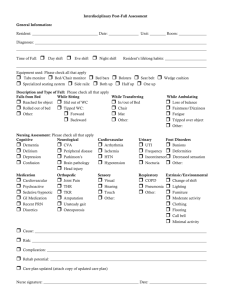 Collect the completed inspection sheet and clipboard. Give inspection sheet to the chairperson. 4. Assure that no-one tampers with the items to be inspected. **** Subject to change depending on hotel site. Participants will have notification of changes if any. Mirror could have a damaged frame. Picture could have cracked glass or damaged frame. Lamp could have a burned out bulb, missing finial or just be unplugged. Lampshade could have an obvious stain or a hole it. Nightstand or end table could be damaged, scratched, or broken. Chair could be stained, ripped, or broken. condition or cleanliness of any item. You are encouraged to write positive and constructive comments in the appropriate column on the rubric. The participant and instructor welcome your comments and may use them to improve performance. Whenever lower performance levels are selected they need to be justified with written comments. 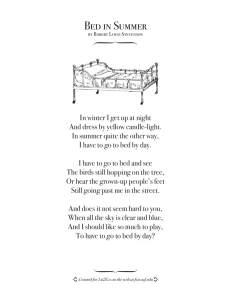 bed, and straighten the room? A room attendant should; straighten the guestroom, make the bed, dust, and then vacuum. services that might be performed. Give three (3) examples of amenities you might place in a hotel guestroom. Please explain the procedure a room attendant needs to follow when entering a guestroom. 1. Do not knock on a door with a "Do Not Disturb" Sign. 4. If there is no answer, open the door slightly and say “Housekeeping” a third time. 5. Q. What is triple sheeting and why is it used in the lodging industry? the hotel because they do not have to wash the blanket each day. What do the letters “OSHA” represent? What does the term “concentrated” mean to you when you see it printed on a label? It means that the cleaner must be diluted with water before using it. 1. Read and follow all directions on the label. 3. Use only the amount as directed. 4. Scrub with the correct tool for the surface being cleaned. 5. Wear rubber gloves to protect your hands from the solution. 9. Q. What happens when ammonia and chlorine are mixed? A. When ammonia and chlorine are mixed they form a deadly gas. 10. Q. Part of the executive housekeeper’s job is to set the performance standards for the department. Please explain a performance standard. done, describes how the job is done, and to what degree. budget. Please explain a productivity standard. what should you do as a follow up procedure? 13. Q. Where in a guest room should a room attendant begin dusting? A. Dust the highest surface first so the dust does not fall on already cleaned items. 14. Q. Why should a room attendant avoid overstocking their cleaning cart? 15. Q. Why is it important for a room attendant to make a final check of the guest room after cleaning? 16. Q. What is the purpose of a room inspection? before a guest checks into the room. 17. Q. When should a check-out room be inspected? positive feedback. Once the room has passed inspection, it is ready to be sold by the front desk. 18. Q. Name at least four (4) things to do to prepare a room for nonsmokers? A. 1. Clean all bath linen, bed linen, and drapes. 2. Clean or replace pillows. 3. Clean or replace lampshades. 3. Clean or replace the air conditioning filters. 5. Shampoo the carpets and upholstered furniture. 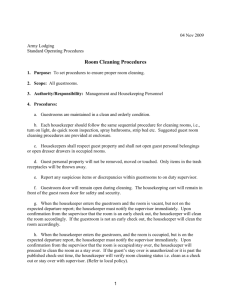 least four (4) tasks that may be included in your deep cleaning assignment. Instructions: Check the indicators demonstrated by the student. Circle the score that best describes the level of the performance based on the printed indicators for each element. Write positive, constructive comments whenever points are lowered to help participants identify their strengths and areas for improvement.  Spotless, pressed uniform according to industry standards.  Uniform appropriately sized to body.  Light makeup or no makeup, if appropriate.  Uniform pants hemmed to an appropriate length.  Hair is controlled, clean, and away from face.  Shoes are clean and safe. exhibits 4 or fewer indicators. Clean nails, short nail length, and no nail polish. Body is free of odors. Breath is free of noticeable odors.  Blanket and comforter/bedspread removed without touching the floor.  Stores chemicals separately from cleaning rags in carrying container.  Removes linen by placing corners of sheets toward center of bed.  Sprays chemicals away from face and on designated surfaces only.  Avoids contact with body uniform when disposing of soiled linens.  Keeps clean linen from being contaminated.  (Upon removal of linen) Immediately places soiled linens in designated container.  Carries supplies into room and places on surface within reach, but not on floor.  If hands become contaminated during event (touching hair, face, body, etc.) re Bends at knees when appropriate during bed making. sanitize with dry hand sanitizer.  First flat sheet is placed even with top of mattress and is smooth and wrinkle-free. and is smooth and wrinkle-free.  Second flat sheet is placed even with top of blanket and is smooth and wrinkle-free. First sheet, blanket and second sheet are tightly mitered at foot at 90 degree angles.  Sprays cloth with appropriate cleaning solution for telephone.  Cleans handset with attention to receiver and mouthpiece.  Holds down the hook switch button while cleaning the dialing buttons. exhibits 2 or fewer indicators. 3-4 indicators.  Selects appropriate cleaning supplies for nightstand with a vinyl/Formica surface.  Sprays cleaning cloth with sanitizer.  Cleans surface of nightstand.  Cleans sides and front of nightstand. exhibits 4 or fewer indicators. 5-6 indicators. Comforter is folded back from top of bed to avoid touching turned down sheet. Pillows are set up on edge against headboard. Pillowcases are wrinkle-free with seam facing outsides of bed. Open edges of pillowcases are tucked inside pillowcases. Open edges of pillowcases are touching and facing the inside of bed. the folded down sheet or comforter. a result of tucking blanket and sheets. Listens for dial tone and notifies judges if dial tone is absent..
Telephone is returned to original position with cord on correct side. Telephone is clean and shows no dust, streaks, or dirt. Nightstand shows no crumbs, streaks or dust. nightstand exhibiting all 7 indicators.  Unwinds and lays out cord loop by loop to avoid tangling.  Vacuum is adjusted according to carpet height.  Cord is plugged in near doorway to guestroom.  Begins by vacuuming in far area of room and moving toward the doorway.  Uses a back and forth rocking method during vacuuming.  Visually inspects all assigned work. 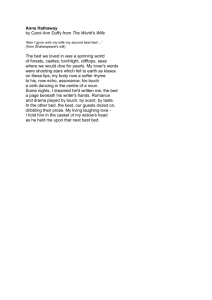  Makes minor corrections of work as required. cord and from pulling vacuum by cord). Cord is removed from socket using the plug. Cord is wrapped neatly on vacuum. Vacuum stored out of the walking area, against a wall, and clear of the entry door. Carpet has no visible dirt or crumbs remaining. Neatly packs all supplies into carrying device. With minimum amount of moves/actions, removes all supplies from room. Removes equipment without hitting walls or doors. adjustments exhibiting all 5 indicators. 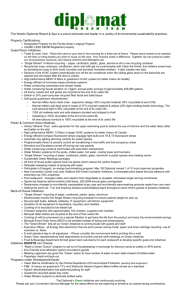 adjustments and/or exhibits 3-4 indicators. are given for all questions and/or a clear, audible voice or answers all 5 questions in a clear, audible voice. For tiebreaker use total score for category: *1st Tiebreaker, ** 2nd Tiebreaker, *** 3rd Tiebreaker.